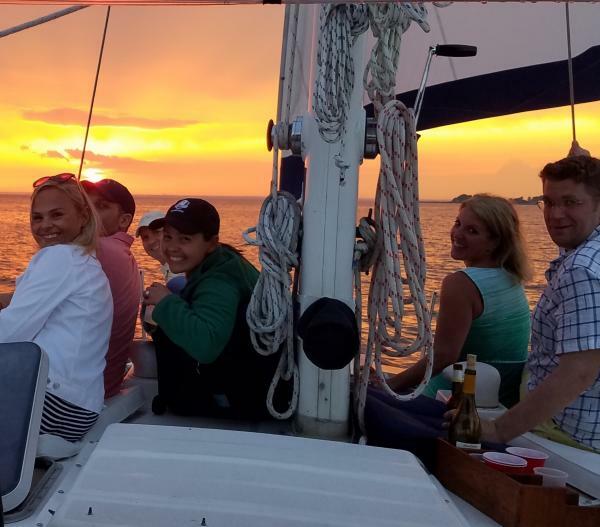 Celebrating 20 years in Rock Hall, Md, Blue Crab Charters provides an award winning experience that you won't want to miss! 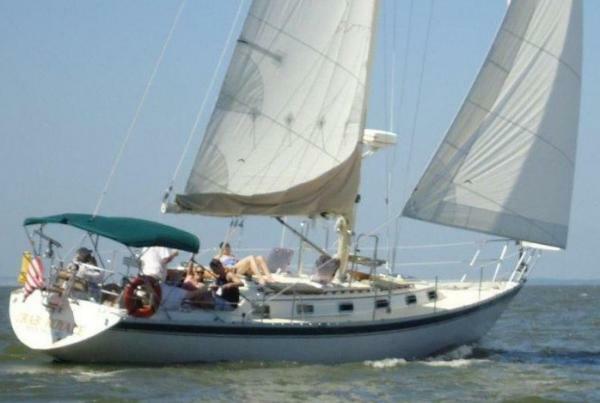 Take the helm or just relax as you sail from Rock Hall Harbor into the open Chesapeake Bay or the scenic Swan Creek. 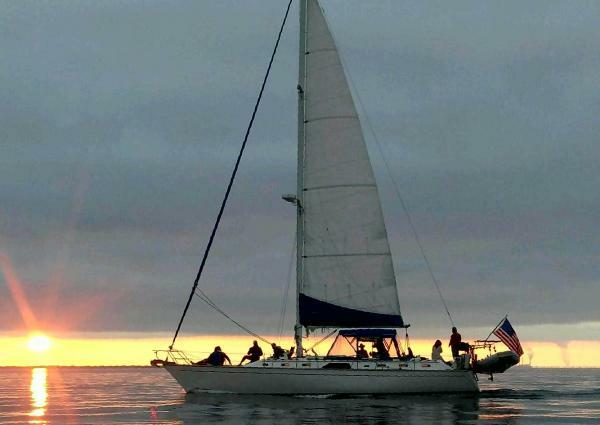 Blue Crab Chesapeake Charters is home to Rock Hall's Original Sunset Cruise and will surely top off any visit to Maryland's Eastern Shore. We can accommodate large and small groups and depart up to five times daily from Watermans Crab House Restaurant. Your hosts are full-time residents of Rock Hall and are ready to sail 7 days a week from April through mid- November. Our sailing vessel, "Island Girl" is a 43 foot Morgan center cockpit sailboat with lots of deck space and a full cockpit enclosure for your comfort. We take up to 6 guests per cruise and our prices can't be beat.